Zoodles! How can you not get excited about such a fun word? It just makes you smile. 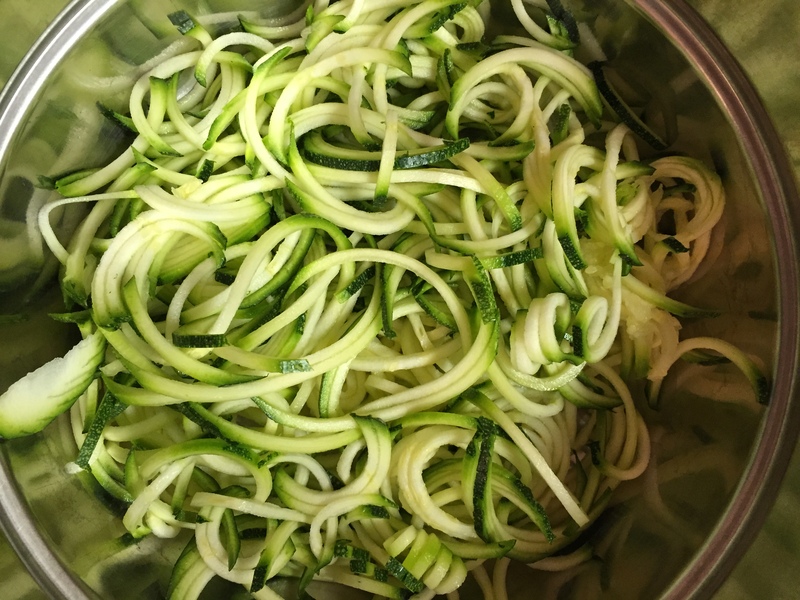 I received a spiralizer for Christmas, and I’ve been loving making these delicious and healthy “noodles” a regular in my meal rotation. The flavor is so fresh, and there are no guilty feelings when you go back for seconds! In a medium pot, bring salted water to a boil. Once boiling, add the green beans and cook for about 4 minutes or until the beans turn bright green. Drain and set aside. 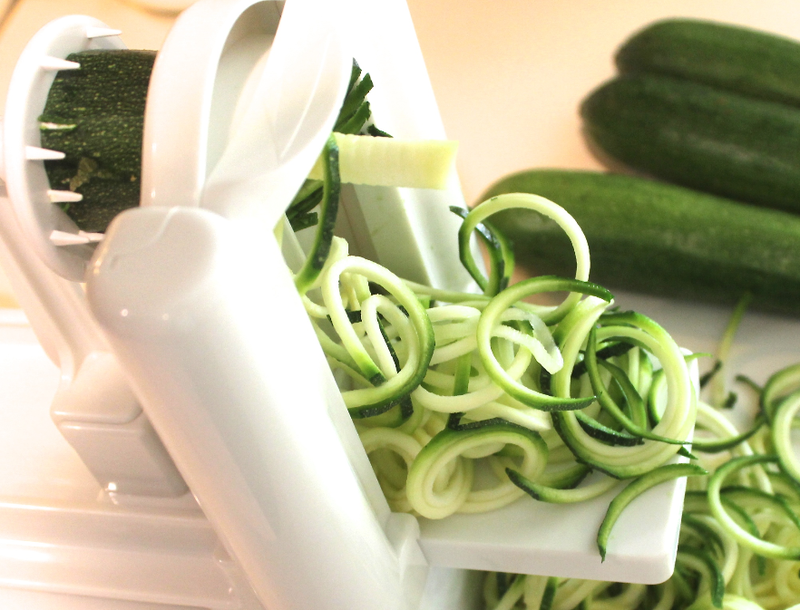 Trim both ends of the zucchini and wash. Press the zucchinis through the Spiralizer, keeping a steady pressure to ensure you get long zoodles. In a large sauté pan over medium heat, drizzle zoodles with olive oil, salt and pepper to taste. Carefully turn the zoodles on occasion to evenly distribute the heat. 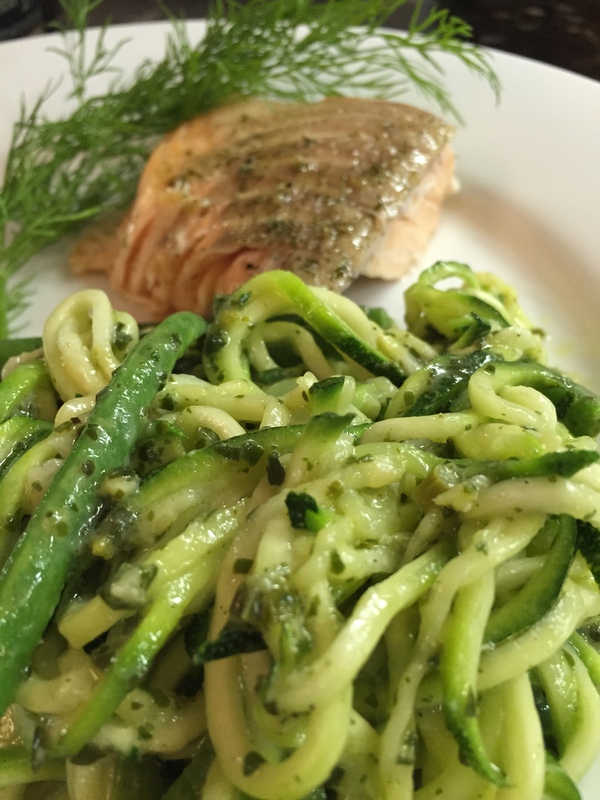 Cook the zoodles for a couple minutes – you want them to soften and warm, but be sure not to get them mushy. 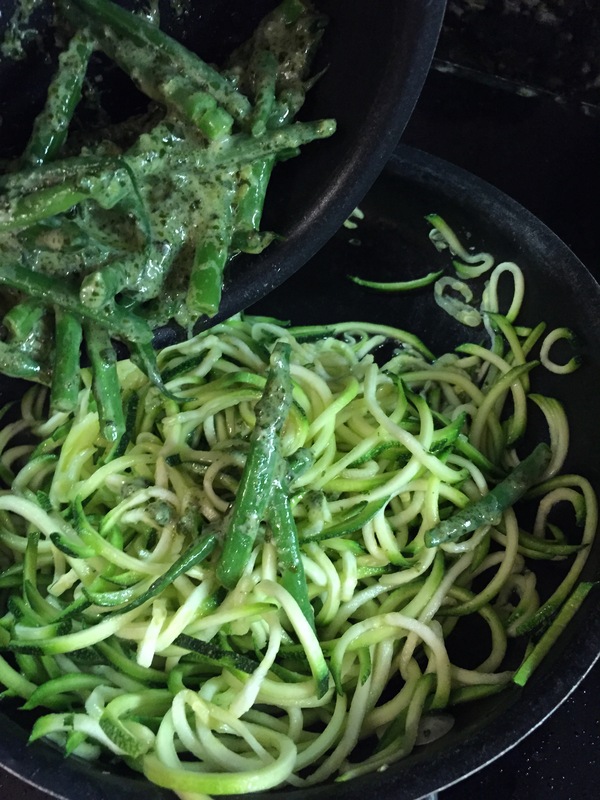 Add the green beans and pesto, mixing carefully to cover each zoodles with the pesto. 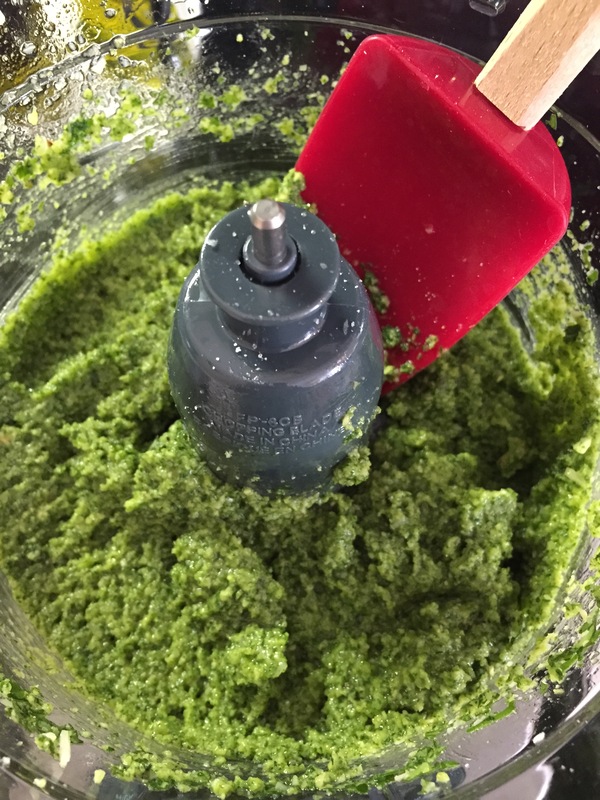 Keep over the heat for an additional couple minutes to get the pesto warm. Serve immediately and top with the shaved Parmesan.